The court has dismissed a year-long legal battle of a former 7-Eleven franchisee in a bid to have his franchise agreement reinstated. 7-Eleven had cancelled his agreement when it was discovered that he was involved in a cash-back scheme which saw him taking money back from employees. The franchisee took 7-Eleven to court over the termination, alleging the cancellation was unlawful due to a lack of evidence and he denied the practice had ever occurred. Justice John Sackar decided that there was enough evidence and it was most likely that the franchisee had acted “as alleged and in doing so was behaving fraudulently in the relevant sense”. Justice Sackar found that 7-Eleven was right to terminate the franchise agreement given the fraudulent behaviour. 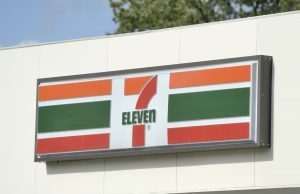 7-Eleven GM Corporate Affairs Clayton Ford said 7-Eleven welcomed the dismissal of the appeal. “However, this case serves to highlight the deficiencies with the current codes when it comes to both addressing underpayment issues, and ensuring that lesser-resourced franchisors would be able to take similar action,” Mr Ford said. “Under the existing industry codes, wage underpayment (even where it is willful and persistent) does not automatically entitle a franchisor to terminate a franchise agreement,” he said. “This one termination has taken 18 months through the NSW Supreme Court and NSW Court of Appeal, during which 7-Eleven incurred significant costs that may not necessarily be recovered or fully recovered. The original hearing subjected two former employees of the Franchisee (both international students), to the trauma and anxiety of having to attend and appear as witnesses in the Supreme Court, a factor which was commented upon by the primary judge in the Court’s finding.